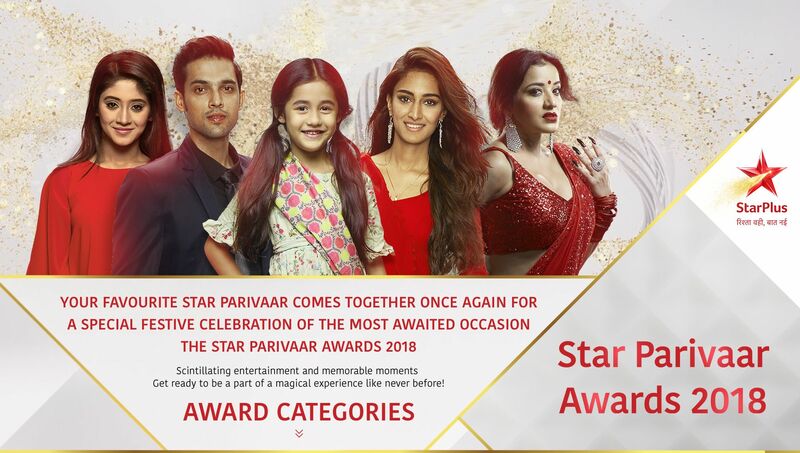 Star network bringing the latest season of family awards, here is the award nominations of star parivaar awards 2018. Online voting have started at starparivaarawards.com, you can select your favorite actors. Zee rishtey is one of the similar award function happening recently, all major television network honoring artist who working for serials and shows. sun kudumba viruthugal, zee tamil family awards etc are some of the events announced. asianet television awards, star maa awards etc will be happen very soon. once you opened the above url, it will be redirected to hotstar link for voting star 2018 parivaar awards. Star india parivar having many categories, some of the major sections are Favorite Digital Sadasya Male and Female , Favorite Jodi etc. Once you opened the above ulr from desktop or mobile browser it will show the options. you need to connect your google id for online voting. now you can see the awards category options , you need o agree to the Terms & Conditions before voting. Star network will soon announce the winners of the parivaar awards latest edition. it will be telecast through star plus and star plus hd channels very soon. They will conduct a mega event and distribute the prizes, only star plus channel shows are mentioning for the honor. Visit starparivaarawards.com and do online voting for suppoting your favorite mini screen artists.